Drag queen reads from book titled "Neither" about "blended identities." Gender fluidity. Cross-dressing. Pick your pronoun. Ideas found only on liberal college campuses? Not anymore. The public library of Lafayette has these as official programming for children, shocking residents in this conservative part of Louisiana. -- Please sign your protest now. Already operating in twenty-one states, the pro-homosexual "Drag Queen Story Hour" program is endorsed by the American Library Association and its Association for Library Service to Children (ALSC). During two nights of intense opposition, proponents and opponents of the Drag Queen Story Hour faced off at public meetings in the heart of Cajun country. The Lafayette Public Library Board of Control met on Monday, September 17. Although the Drag Queen Story Hour scheduled on October 6 was not on the published agenda, residents lined up for public comment at the conclusion of the meeting. Tensions were high. Local LGBT supporters were present in force. They used every resource at their disposal to portray the planned event in a positive light. Accusations of opponents acting from so-called fear, hatred and bigotry were common. Many expected such rhetoric to dominate the meeting. But speaker after speaker came to voice their opposition. The disapproval of the Drag Queen Story Hour among the capacity crowd was overwhelming. The innocence of children, outrage at the Drag Queen event being pushed with no public consultation, appeals to standards of public decency and many other sound arguments won the day. A TFP Student Action petition with over 17,000 signatures against the Drag Queen Story Hour was presented to the library board by Mr. Thomas Drake. Other TFP-Louisiana members, joined me in speaking on behalf of the signers in defense of children’s innocence. This first night came as a shock to both sides. The supporters of the Drag Queen Story Hour came expecting to get their way. Many pro-family advocates came expecting to be outnumbered and shouted down. In the end, the proponents of the Drag Queen Story Hour failed to win over the crowd and looked disheartened. Pro-family voices were emboldened and achieved a victory in the court of public opinion. A day later, September 18, the two sides would face off again. The Lafayette City-Parish Council regular meeting had a proposal to denounce the Drag Queen event for children. Surprisingly, 400 people came and publicly registered their stance. Of these, three quarters wanted the council to denounce the drag queen event. As one speaker pointed out, the majority of speakers opposing the drag queen event spoke on behalf of the children. Those in favor spoke on behalf of adults "expressing themselves." The impact of the event on both the children attending and those having exposure to it secondhand was brought up over and over. Parents of children were overwhelmingly against the drag queen event, and spoke of the responsibility to protect them from immoral behavior. During the 5 hours of testimony, the hypocrisy of the library allowing the Drag Queen Story Hour was pointed out. It was clear they would not allow programs of a religious or political nature, or library programs promoting hunting or drug use. The Drag Queen Story Hour was also portrayed as a slippery slope. The acceptance of the drag queen lifestyle paves the way for much worse in the future. Adults claiming support for the drag queens stated that it entailed accepting them for "who they are." The fact that none came to the meeting dressed as a drag queen spoke volumes. In stark contrast to the stereotype of 21st century America, God was brought into this debate. Quotes from scripture, remarks from religious figures in history, and warnings of eternal repercussions emphasized the seriousness of the Drag Queen Story Hour. This was met with appeals to live-and-let-live, arguments that the event was no big deal, and that somehow opposing it was "hurtful" and "hateful." Obedience to God versus mandatory acceptance of every vice was on full display. The Lafayette City-Parish Council voted against a denunciation of the Drag Queen Story Hour. However, the long proceedings proved that the public is overwhelmingly against having drag queens at the local library, reading "gender fluid" books to children as young as 3. The controversy in Lafayette, Louisiana, served as a setback to the Drag Queen Story Hour movement. Even though it has been implemented in many cities, the people of Lafayette have shown their fellow Americans that they can and should fight back. 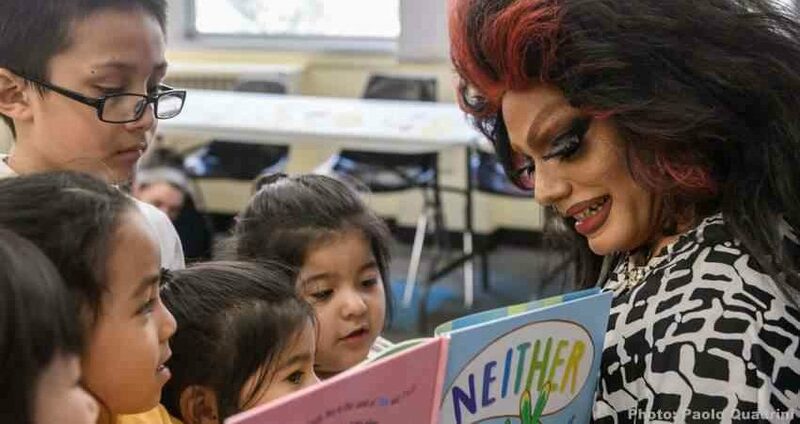 Forcing drag queens onto innocent children at the public library is just a facet of a much larger culture war. It is not only acceptable but imperative that God-fearing Americans fight back and speak out. Love of God, love of children, and love of country demand no less.